As a nation with some deeply pagan roots, we love any excuse to set fire to things while bashing away at drums. Thank goodness, then, for the Beltane Fire Society, which not only shares these passions, but manages to foreground them twice a year. This month it’s Samhuinn, commemorating the death of the Green Man (summer) and the rise of the Horned God (winter). Head along to catch the epic symbolic battle, accompanied, naturally, by drums and fire. 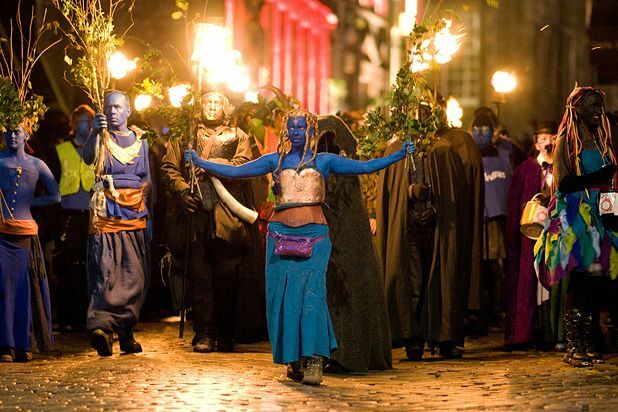 Royal Mile, Edinburgh, Sun 31 Oct.
Celtic celebration of summer's pass into winter at this afterparty from the Beltane Fire Society.